We worked with Townshend landscape architects to develop an events bar and seating for a roof terrace in King William St. London. 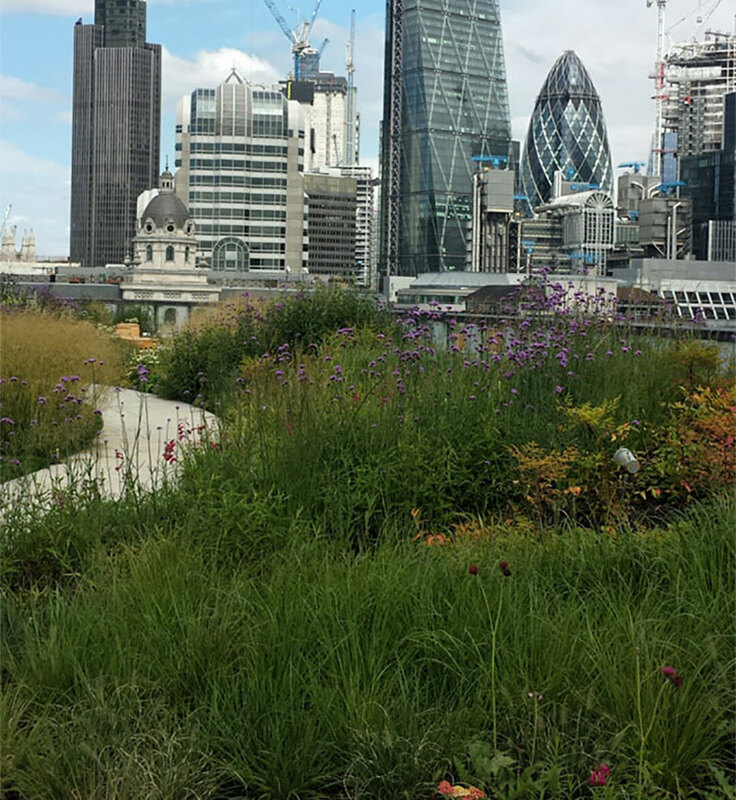 The roof garden was developed to maximise the roof space and bring nature into an urban area. We developed some stack laminated Accoya wood benches and an events bar. Each bench was laminated from a number of timber sections before being carved and finished to a site-specific radius. The tops of the benches featured a generous hand carved seat. The resulting benches were a unique contemporary place to sit and take in the magnificent views over the City of London.